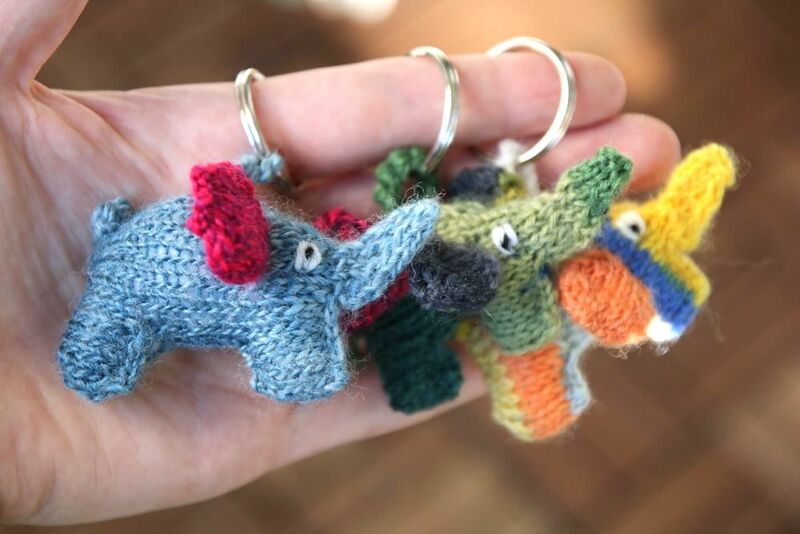 Calling all scrap lovers, yarn junkies and toy fans! May I have your attention please? 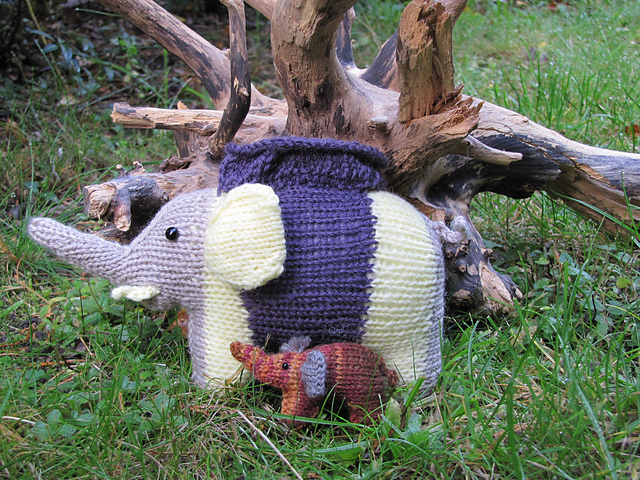 Available in English and German on Ravelry, Etsy, Craftsy and DaWanda! 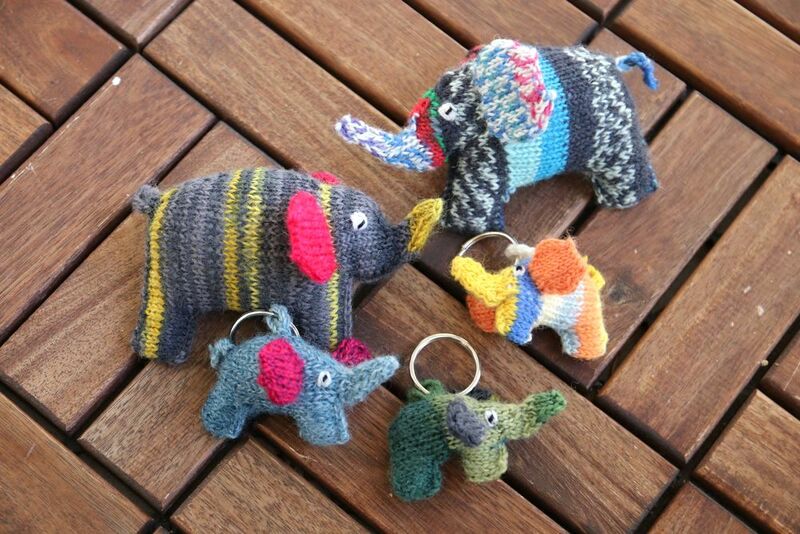 Get out your scrappiest scraps and mix and match as you like because these cute little elephants feed on yarn scraps – the more colours you feed them, the happier the elephant! And the thicker the yarn, the bigger it grows, too! 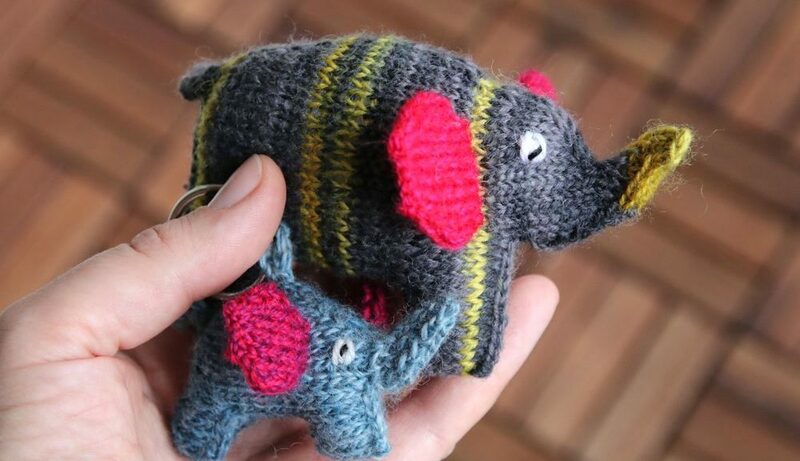 Use up any yarn scraps that have been lying about and knit them into a baby mobile, key rings, cat toy, cuddly pillows or maybe a cover for cooling pads! 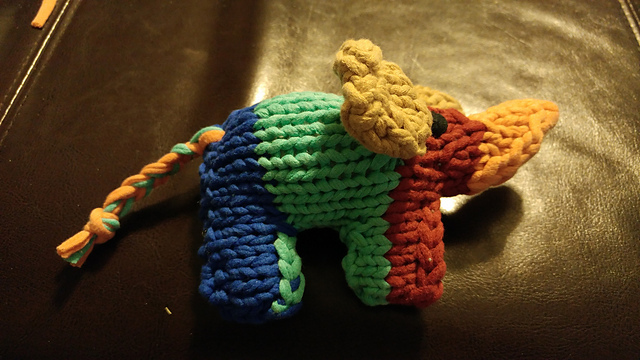 I wanted this toy to be a cool mini-scrappy-vore that makes people happy just by looking at it and even more so while knitting it! It requires a minimum of sewing (you know me, I’m lazy) and can be made with any kind of yarn and any needle size, as all of my patterns. 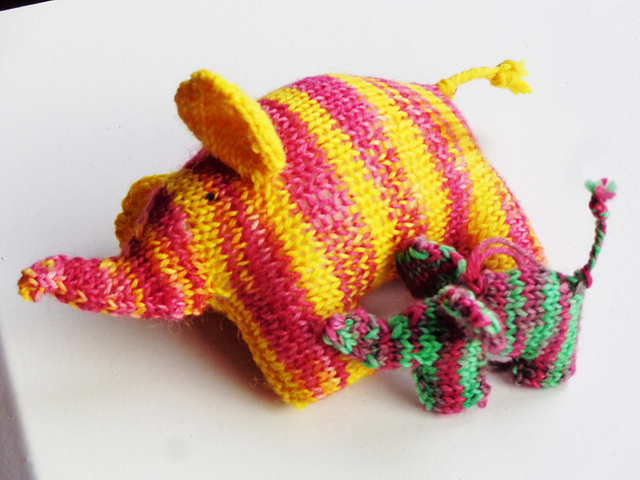 The toy is knit in the round and closed with two small seams in the end (alternatives are given). The ears are picked up directly from the body to make for a safe baby toy. 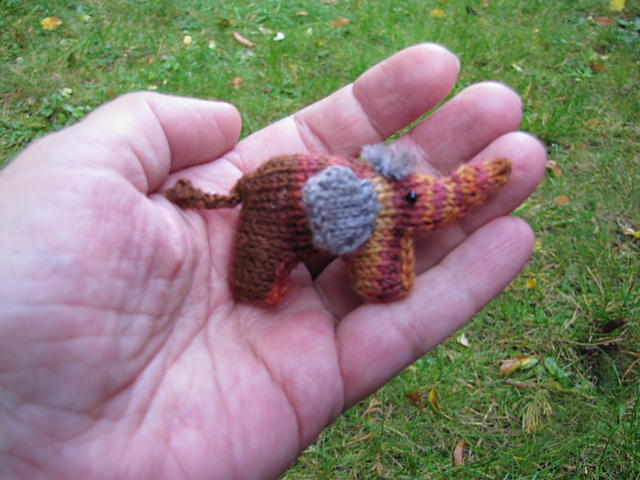 Pattern includes instructions for a small and a big elephant and photo tutorials. 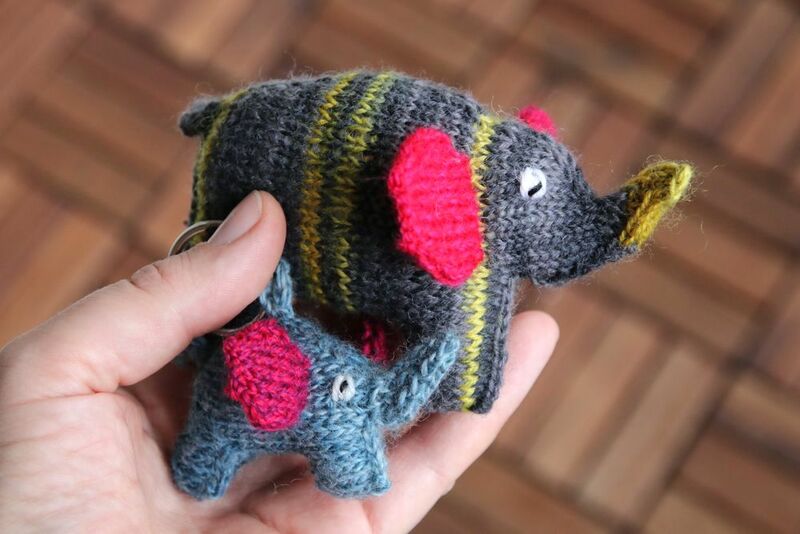 The elephants can be made from any yarn quality, but it is practical to use needles at least one size smaller than indicated on the yarn to prevent the fibrefill from showing. depending on size), if you use thicker yarns you’ll need more accordingly. 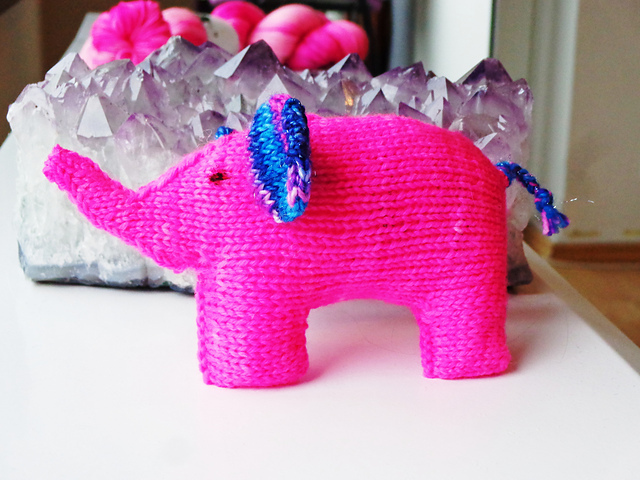 (optional) scraps for decorating the toy with a crochet flower, hair, hat or similar. 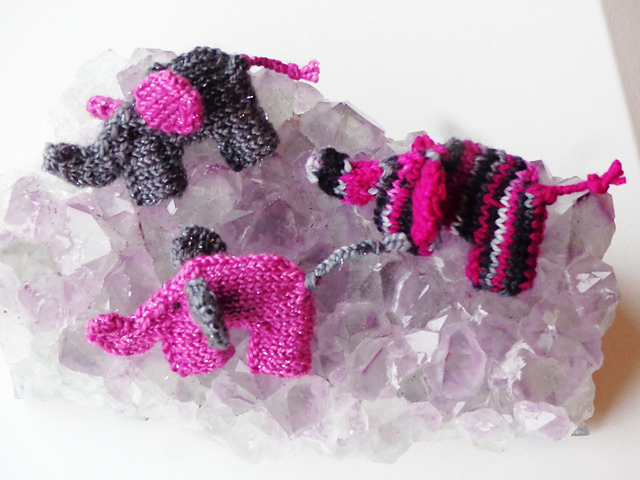 I used no more than 4grams of sock weight yarn for the small elephants above and 9-10grams for the big ones on needles 2.5. They measure 4x7cm (small) and 8x12cm (big) tall. 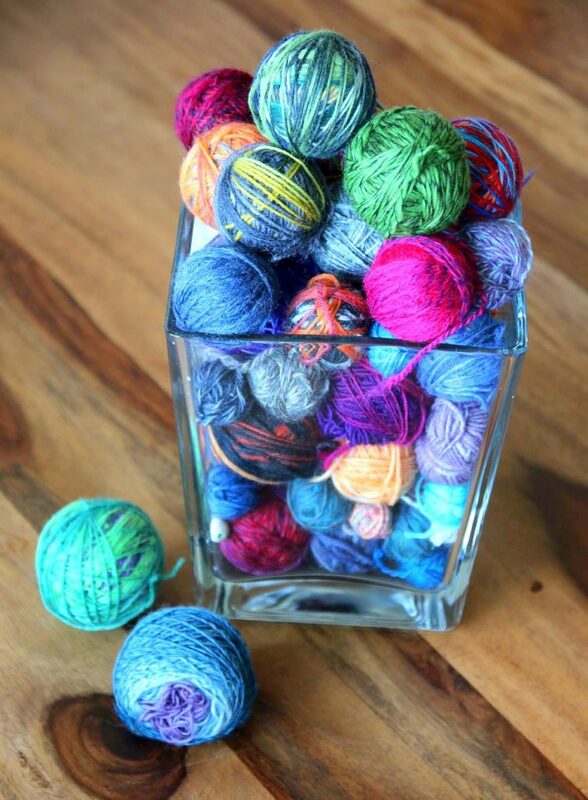 I will now need to knit something bigger to refill my scrap vase with mini scraps again! 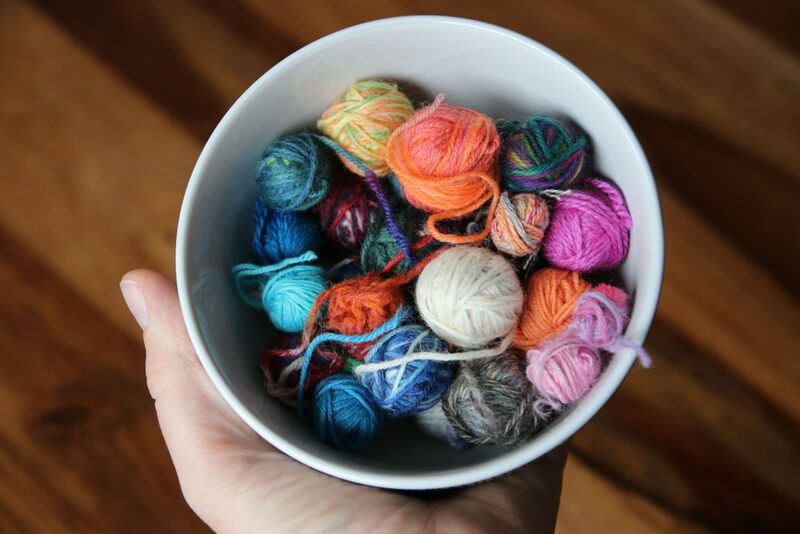 My favourite bowl of yarn! What a great way to support WWF! I love them! Thank you! I’m glad you like them, and thanks for your support! Knitting Mojo, I’m out to get you!